July 12, 2016: Brimham Rocks (Yorkshire Dales). 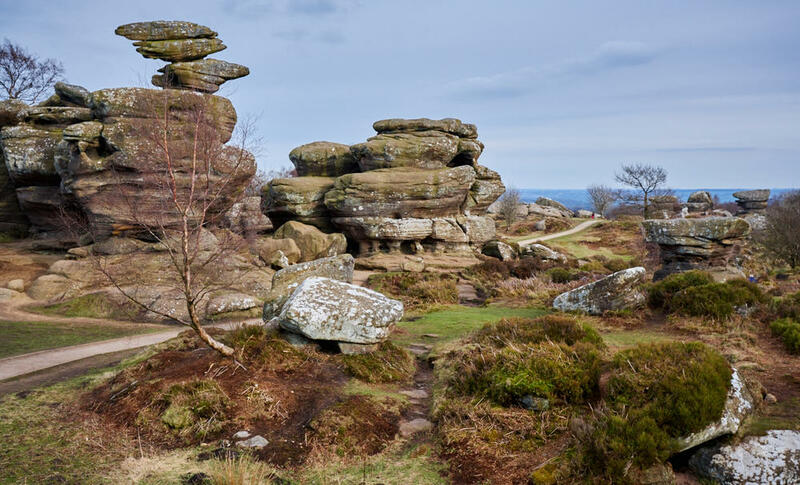 Brimham Rocks - natural gritstone formations formed by erosion during the last ice age (Yorkshire Dales). That pile of rocks in the top left of the photos looks like it could go down at any minute. Fascinating erosion!